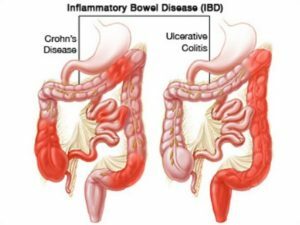 Inflammatory bowel diseases (IBD’s), such as ulcerative colitis (UC) and Crohn’s disease (CD), are autoimmune conditions where your immune system attacks your intestines. 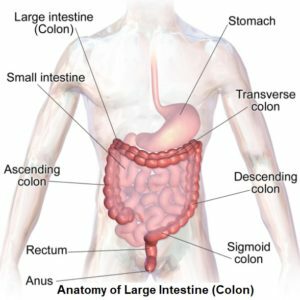 It’s thought that there’s no cure for Crohn’s disease, so all you can do is try to keep it in remission as long as possible between attacks. But can a plant-based diet help this debilitating disease? This is a complex topic, so it has been covered in three parts. This is part 1 of 5. Sufferers are often put on anti-inflammatory corticosteroid drugs – e.g. prednisone, prednisolone, hydrocortisone, budsonide and mesalamine 1 2 as well as immunosuppressive drugs – e.g. azathioprine3 (Azasan, Imuran). mercaptopurine (Purinethol, Purixan), infliximab4 5 6 (Remicade, Inflectra, Remsima), adalimumab7 (Humira), certolizumab pegol8 9 (Cimzia), methotrexate (Trexall), natalizumab10 (Tysabri), vedolizumab (Entyvio), ustekinumab (Stelara). When the drugs and (questionable) dietary changes – such as cutting out fibre and eating more protein – don’t work anymore 11 , sufferers can then find themselves in and out of the hospital, getting chunks of their intestines surgically removed. 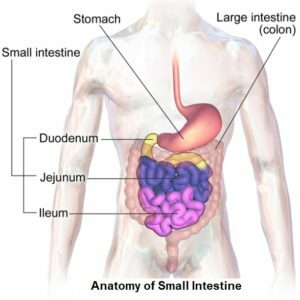 Since it’s the intestine itself that’s inflamed- and food travels through the intestines – it would seem ideal for researchers to see if intestinal inflammation can be treated by changing the diet. Research12 13 has already clearly shown that many foods, including meat, cheese, fish, and animal protein in general increase the risk of developing IBD’s such as CD, while it’s been shown14 15 that plant foods reduce the risk. 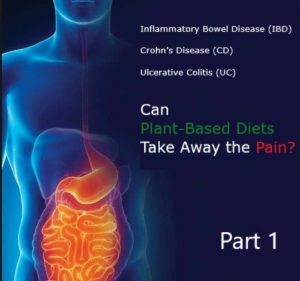 But what about research that looks at whether the anti-inflammatory power of plants can also treat conditions like CD and not just help to prevent them in the first place? For two years, Japanese researchers16 followed a a number of CD patients who were in remission. The patients were split into two groups. One group was asked to continue eating their standard (omnivorous) diet, while the other group was asked to eat a semi-vegetarian diet—meaning in this case, vegetarian, except for half a serving of fish a week, and half a serving of other meat once every two weeks. N.B. this is not a WFPB no-SOS (added sugar, oil and salt) diet and they were only asked and not forced to follow the diet. 100% of the semi-vegetarian diet group were still in remission from any CD symptoms. Around 20% of the standard diet group had relapsed. 100% of the semi-vegetarian diet group were still symptom free. 50% of the standard diet group had relapsed. 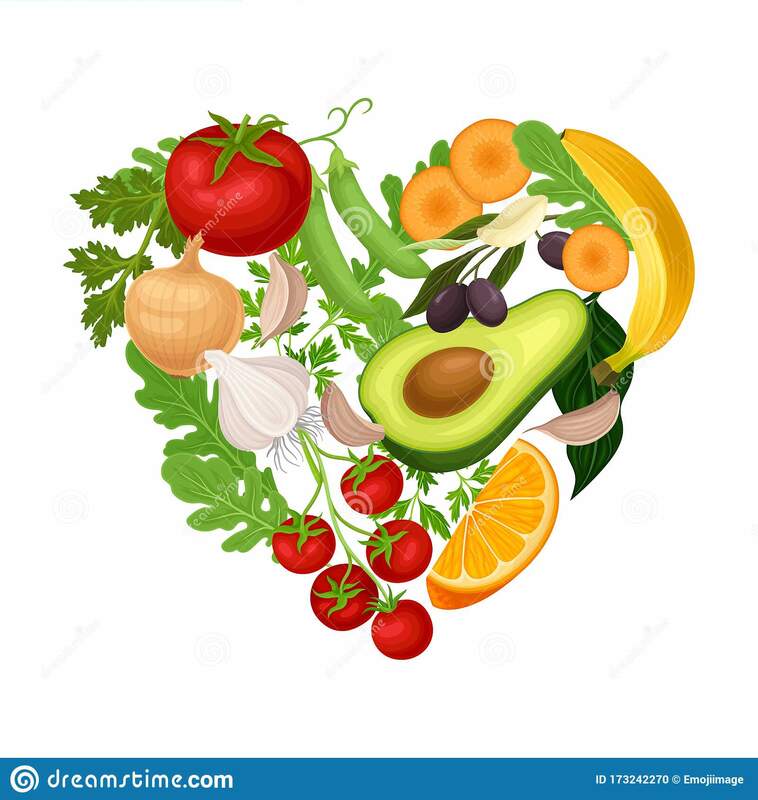 92% of the semi-vegetarian diet group remained without any disease at all. Over 80% of the standard diet group had relapsed into the cycles of drugs, hospitalisations and surgery. 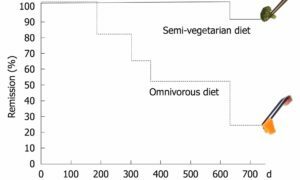 This was a significant finding and, remember, that this was only a marginally plant-based diet with no controls over whether the semi-vegetarian group members ate more animal foods or consumed unhealthy processed plant foods. Indeed, a sample menu within their research literature shows cow’s milk yogurt and eggs were still a part of the diet, and the protein level of 16% of caloric intake was higher than would be expected on a WFPB diet. Furthermore, the researchers could only rely on the individual testimonials about what and how much they ate – and, as we know, these are not always reliable indicators of an individual’s actual behaviour. Nevertheless, the researchers claim that this is the best result in CD relapse prevention ever reported. And this includes all pharmaceutical and surgical interventions to date. 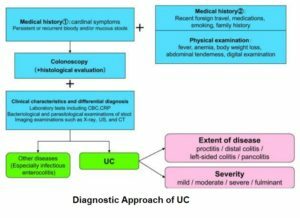 Part 2 will take a detailed look at research into dietary factors associated with IBD (CD & UC). 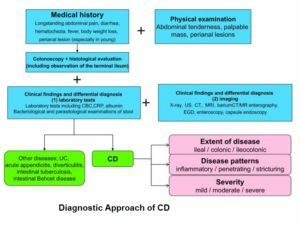 CD is a chronic inflammatory disease of unknown cause, although there are theories: one theory suggests an abnormal immune response to gut bacteria; another suggests processed foods or recently emerged allergens may be responsible; additionally, there appears to be a genetic factor (gene NOD2) running in families.21 Other causal factors may include certain viral or bacterial infections, ethnicity, smoking and even the use of a treatment for acne scars (isotretinoin – although there are strong objections22 to this drug being responsible). Next Next post: EMS – Beneficial for Muscle-Building & Therapies?